Antipole DX developer Saturnine Games have announced that they have added support for Miiverse stamps across both Wii U and Nintendo 3DS versions of the Nintendo DSiWare remake. I believe that makes it only the second game to implement the feature on Nintendo’s trusty handheld, after puzzler Mario vs. Donkey Kong: Tipping Stars arrived last month. 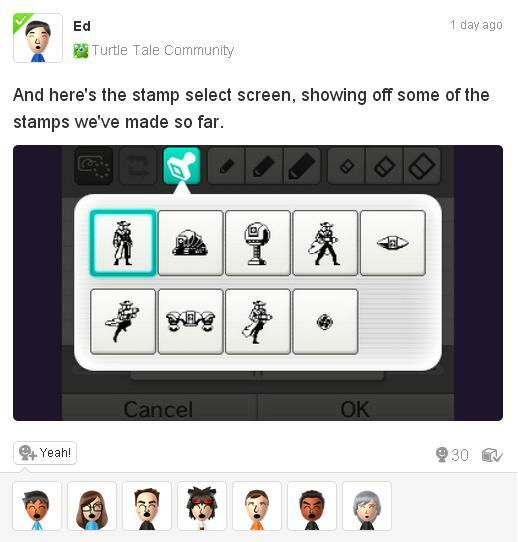 This will see you unlock stamps for lone mercenary Johnny Hurricane as well as the robots patrolling their mothership, helping you become creative on Nintendo’s take on a social media service by adding them to any of your posts within the game’s community.